The warm weather has brought a few different birds to Lake Nelson. 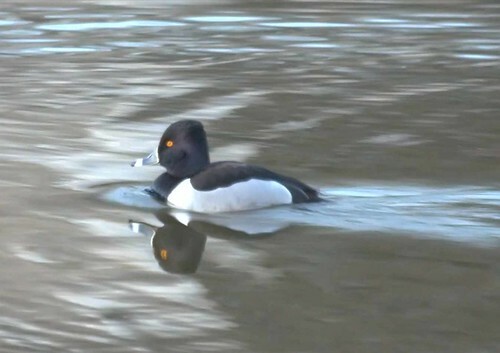 The Ring-necked Duck appeared this morning. It tried to hang out with the hooded mergansers but they wanted nothing to do with it.